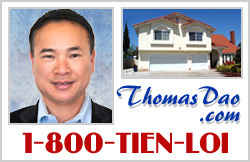 Hello, my name is Thomas Dao, and I am one of the leading Real Estate agents of Orange County. I graduated in 1985 with a Bachelor of Science in Electrical Engineering from Cal State Fullerton. 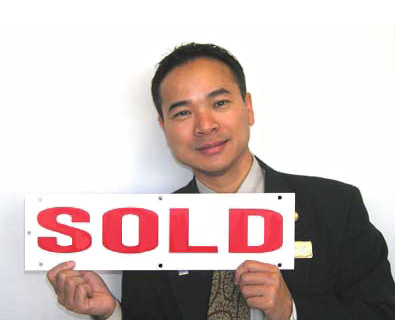 But soon after graduation, I was introduced to Real Estate. After realizing the promising future it possessed, I created Superior R.E. Group, in hopes of making superior service available for everyone. It has been more than 20 years and this company is still up and running like a well oiled machine. I take pride in my work and wish to help everyone in need of a home. 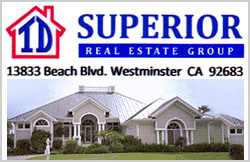 I have worked with many people from all over Orange County and hope to expand my horizon. For the past few years, I have been learning the Spanish language. Along with this, I have been perfecting my English. Hopefully, with my new and improved communication skills, I will be able to help everyone in my community with no difficulty, including yourself. I feel that my success comes from important things like being accessible to you. Please click here to contact me, I'm easy to reach by phone, email and in person. 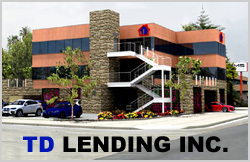 Welcome to our website, your satisfaction is our success, my commitment to you!